One way to simplify your life is to organize your money into four categories. The first category is your checking account and is money available to spend on your day to day expenses. The other three are savings accounts that you can tap for various situations. If you split your pay check depositing your day to day spending cash into your checking account, part into an emergency fund if it’s not adequately funded yet, part into an opportunity fund, and part into long term goals, you won’t have to worry or even think much about financial decisions. Your emergency fund should cover at least 3-6 months of expenses if you have a steady job that you expect to keep for years. If you are a freelancer or change jobs often, you should have 12 months of expenses. Everyone starts with zero dollars in their emergency funds. You’ll have to accumulate your emergency fund as you go. If you have debt, you should split your savings between paying off your debt and building your emergency fund. When you’ve paid off your debt or filled your emergency fund, focus more fully on the other. Your emergency fund allows an emergency to be a bump in the road instead of a major set-back that takes years to recover from. Once you have your emergency fund, you have more freedom to save for other opportunities and planned transitions in your future. your current car becomes a pain to maintain. It allows you to go to your grandpa’s funeral without going into debt. It allows you to visit your friend who’s working in France for a year. You can take advantage of more opportunities when you have more money in your opportunity fund. Make sure you don’t start using your opportunity fund like bubble gum money though or you’ll have no funds when important opportunities come up. If you haven’t paid off all your debt and filled your emergency fund, focus on those areas first. As debt and your emergency fund get under control, you can start putting money into your opportunity fund. You can also put a small amount of your savings into your opportunity fund, even if you’re working on debt and your emergency fund. If you’re saving $100 every pay check, put $1-$10 into your opportunity fund. If you put $1,000 in savings, you could save $10-$100 in the opportunity fund. This won’t give you a lot, but you’ll have at least a little to have fun with as you get your financial foundation secure. Your asset accumulation allows you to glide through life transitions without problems or incurring debt. If you haven’t accumulated assets, you won’t be ready to buy a house, start your own business, travel for a year, or retire. One of life’s journeys is accumulating assets so your pay check is from the money you’ve saved. When your assets have grown enough that they can pay enough to cover all your expenses, you have “retired.” At that point, you can choose to continue working, but you can also choose to stop working, work part time, or change careers. The bottom line is you will have choices! If you don’t accumulate assets, you will always be a slave to your pay check from your job. You’ll always be “hustling.” You can avoid that dilemma by 1) reducing how much you spend so your assets can cover your expenses or 2) increase the amount you’ve accumulated. Interestingly, the easiest way to accumulate more is to reduce your expenses. But you can also accumulate more by working more, selling non-financial assets to invest, making sure your assets are growing through investments. 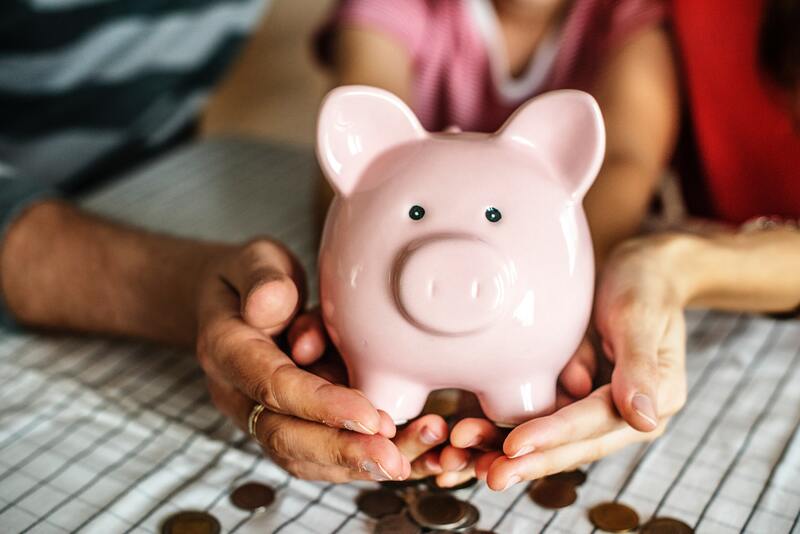 The sooner you start accumulating assets, the sooner those assets start giving you a pay check in the form of interest, dividends, capital gains, and rent. And 100% of that pay check should go into accumulating more assets. We call this compounding returns. When you get $100 pay check from your assets and it goes back into investments, that $100 starts paying you a pay check too. Think of looking into one of those mirrors that has mirrors inside. You see many images of yourself. That’s what happens with your investments. Your investments create income that is invested and creates more income. At 10%, $1,000 will give you $10 a year or $100 in 10 years. The $10 from the first year will give you $1 year or $10 in 10 years. In seven years, through the magical power of compounding, your original $1,000 per year investment will be almost $10,000 and paying you almost $1,000 per year. The earlier you save, the more you save, the sooner you’ll have your accumulated assets giving you a pay day and covering all your expenses. Automatically split your pay check into your emergency fund (and/or debt if you have debt), your opportunity fund, and accumulation funds outside your checking account. Then it’s easy to know if you have enough money to go on vacation, buy a new car, or have a down payment for a house. If you mix them together, you’ll always wonder “can I afford this?” You may find yourself using a credit card to pay to fix a flat on your car. You may even turn to a credit card for dinner out with friends or a gift for your mom’s birthday because you didn’t have cash available to cover things that happen in life. A little planning goes a long way. If all of this sounds easier said than done, schedule a FREE 15 minute call with us. We are here to help! ← Are You Ready to Start Saving Money?